UKIP have made 6 appointments so far to the new front bench team that is being put together ahead of next year's general election. The team is looking good so far. 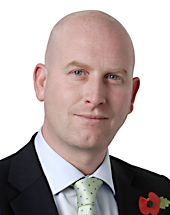 Paul Nuttall's passion for education and its positive contribution to social mobility is well known and Mike Hookem served in the RAF and is still a Commando Engineer Reservist. Patrick O'Flynn wrote extensively on the economy during his tenure as political editor at the Daily Express, Steve Woolfe had a career providing legal advise to hedge funds before entering into politics and Jill Seymour has a wealth of experience in logistics from the manufacturing business she owns with her husband. Louise Bours' credentials on health are unclear but she is an extremely intelligent and sensible woman and will be a hugely valuable addition to the front bench team.